Well summers reminded me of summer vacation of my kid and everyone around pops the same question at my face…”what is your travel plan this vacation”? Traveling for me is as cumbersome as it could be, but its more torture for the people moving with me (With people I mean, generally Hubby). Local Trains are too crowded to hang around with a cranky kid; Mail trains takes too long to reach to the destination. Flights, Buses and four wheelers are simply out of question (Severe Motion sickness problem for me), two wheeler is not a good choice in Monsoon (though I love the idea) and scorching summer. The only option left, if we plan something nearby, is a Three wheeler. Sounds crazy?? But hey, I so much love this Dhinchaak mode of transport, that sometimes I tease hubby dear to purchase that one, instead of a car. The word Dhaas roughly means a whole , stuffed vegetable like potato, okra, bittergourd, capsicum etc, generally a dry dish (though sometimes the cooked stuffed veggies are dunked in a curry or gravy) , served along with regular Dal rice, making the meal a wholesome one. Stuff the gourds with this mixture and Shallow fry with minimum oil, on a low flame . Keep the remaining stuffing aside. Ps:I am also sharing this Favorite dish of mine with Cilantro’s JFI-Jhiva for Cilantro event. 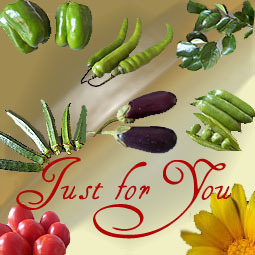 Jhiva for Ingredients OR JFI was conceptualized by Indira of the celebrated blog Mahanandi. 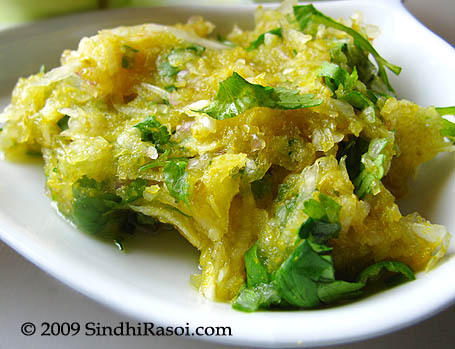 Though being a sindhi , I have never tried dhas mehya ever…. but I tried this and it’s awesome…. my hubby loved it too… thank you❤ I will try some more dishes of your ?? Thanks for the introduction to this new vegetable. I’ve never heard of this and I must say they look absolutely gorgeous! We get the frozen variety,will just have to wait and see when I get fresh ones here.Recipe looks great. This is amazing and I hv never heard of it..must check with my mum about it and am trying this tom itself..
That looks simply delicious. I knew Tinda as Round gourds, but apple gourds is even cuter name. We call it “Dhemse” in Marathi. 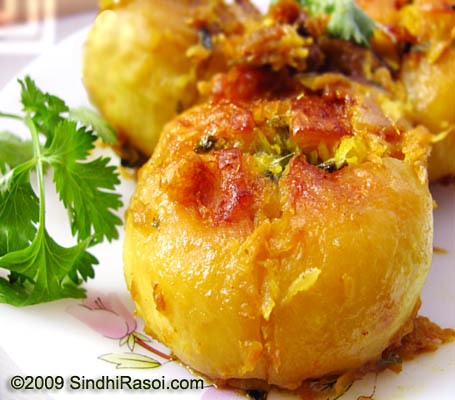 I had eaten stuffed tinda – marwadi way before. sure tastes yummy. but we get it only chopped/quartered & frozen at the Indian stores. thanks for sharing. bookmarked!! will try someday when (& if) i get fresh ones. Those pics are making me want to eat some of it rite now..Great recipe..
I’m always amazed at your truly unique recipes, Alka. This is another great one from you. Alka, its perfect…send it in for JFI. I will update when I post the roundup. Sahi recipe!!!!!!! I never heard about this…… Gr8 pics as usual…..
Not heard or seen those apple gourd.. The dish looks so yumm and delicious. I see these once in a while but after one or two attempts at some ‘black tinda curry’ gave up – maybe I’ll buy them now. U know hw much I adore ur Dhas shimla mirch recipe and this one uses almost same ingredients for stuffing. I am gonna try this recipe pretty soon. 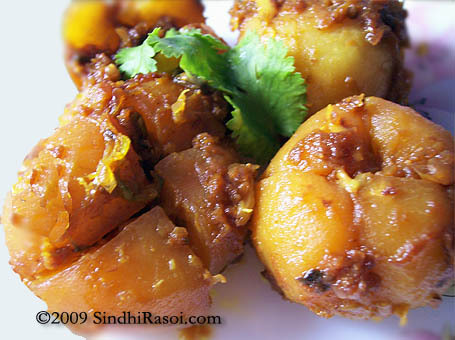 by the way, is indian apple gourd is same as Punjabi tinda? Well its about time I saw meha in your blog :). I would definitely try these. I am very picky with veggies, apart from palak, peas, daal there are very few veggies I like. Since childhood I loved to hate the meha but looking at your pics I have changed my mind. As for overcoming motion sickness, take motion sickness tablets every six hours or so while you are travelling n you will be fine. If you are scared to take the risk to fly to a far off place like the US, take a trip to nearby Dubai and do a bit of shopping but oops its even more boiling than the subcontinent at the moment :). However taking a trip to the malls with skiing facilities available it might be worth it to cool off for a few days & do a bit of shopping. Just as I write these words, the clouds have appeared over the horizon in Karachi and its become rather pleasant. Wow! That looks soooo delicious!! Nice pics, Alka. Your Email Id is not working, so pls mail me your Id for future conversations.Till then, here is my reply….. Thanks for your comments ,and yeah all the Moms in the world are wonderful cooks ,right?? Regarding Camera ,then its Canon powershot SX110, and i am yet not comfortable with its settings(since hubby dear recently got this one ), so i kinda click thru trial and error. Only you can make tinda look this pretty. Grt recipe…………. wish i could get these vegetable in shanghai and i could also enjoy these dish. 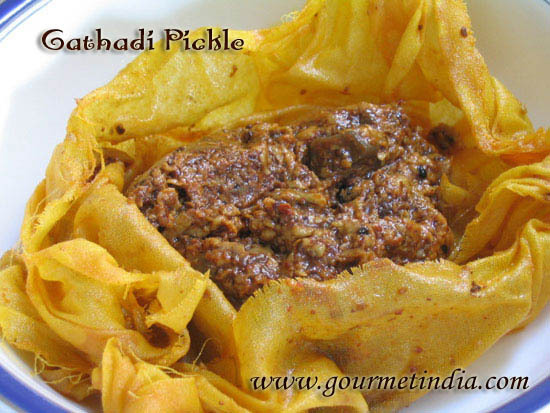 Hv to wait till i go India,but the recipe is superb so definitely try……….. I didn’t know these were called apple gourds! Alka where do you get these unique recipes? Do u create or are they traditional sindhi ones? WOw looks amazing, this dish makes me hungry ALka.. Gorgeous clicks! 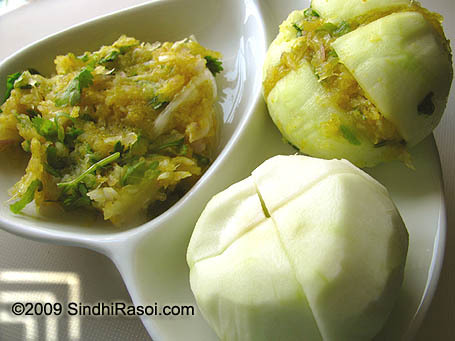 Never heard of apple gourd..but looks delicious Alka. Looks beautiful Alka, in the the first picture looks like an apple with the reddish tinge on top. I have not seen the gourd before. I complain about the cold all the time but it is so much easier to get things done when it is cold just have to bundle up, when hot usually simply too tired to do anything. Wow i have never had anything like this, looks so delicious.